In today’s markets, the Flyers remain one of the most effective printed marketing materials your business can use. 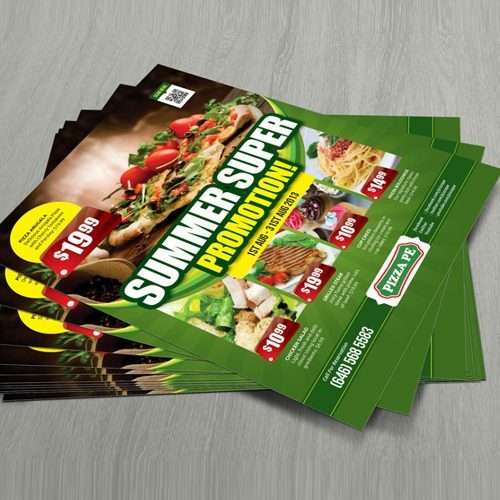 With flyer distribution, you can deliver your message to your target customers in full without compromise. Choose Outlet Tags Canopy print services for your flyer needs. you can also inform them about upcoming events, services, and promotions. We provide you with exceptional finishing options for flyers where you can unleash your creativity.